If you’re into regular exercise and watch what you eat, BSN®’s ISOBURN® is a great fit for your healthy, active lifestyle. Each serving delivers 20 grams of Whey Protein Isolate to help support muscle and recovery. * This quality protein powder will help supplement the daily amount of protein required by your body and help you to reap the benefits from every training session. ISOBURN®’s ingredients also help support fat-burning with the inclusion of L-Carnitine. * Because it’s stimulant-free, you can mix up a great tasting ISOBURN® shake any time of day. 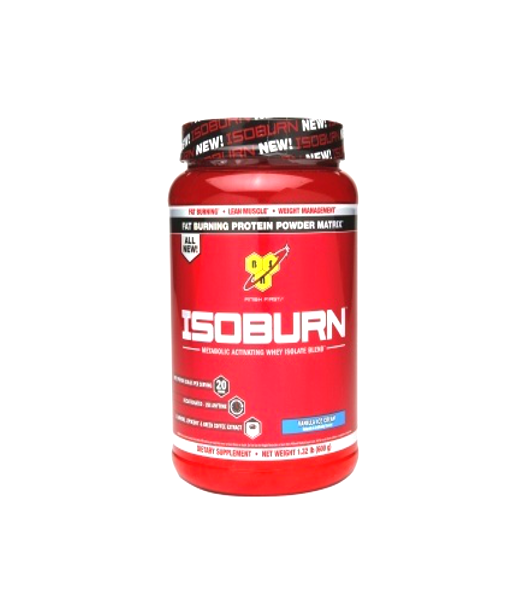 ISOBURN® delivers 250 mg of L-Carnitine per serving. Carnitine may help fat-burning by supporting fat oxidation for energy production. * ISOBURN® also contains 300 mg of LeptiCore per serving, which is a multifunctional complex consisting of blue-green algae, pomegranate, fatty acids, and polysaccharides. 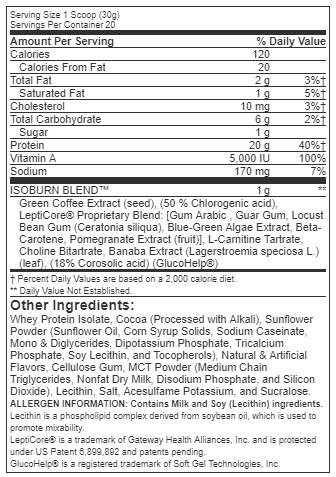 Lastly, ISOBURN® delivers 300mg of Green Coffee Extract per serving. Green Coffee Extract comes from Green Coffee Beans, or coffee beans that have yet to be roasted.